Looking for information on a ketogenic diet and cancer? You’ve come to the right place. A recent report from the World Health Organization states that the number of cancer cases worldwide is expected to surge by 57 percent over the next twenty years. For many, this will mean painful, expensive (and potentially deadly) treatments with chemotherapy and radiation. On the other hand, many others will choose a more natural approach to treat and prevent cancer… one that is meant to boost the immune system, curtail the proliferation of cancerous cells, and starve those cells of the very fuel they need to grow. And one of the most effective natural approaches for doing this is the ketogenic diet. It is certainly not the only thing that should be included in a cancer-fighting protocol, but science has proven that it can be a very important part of one. The ketogenic diet is a very low carb diet that is moderate in protein and high in fat. It is well known that the cells in your body are normally fueled by glucose (the form of sugar present in the blood). But when glucose is not available, cells derive their energy from ketones – a byproduct of fat breakdown. Researchers at the University of South Florida found that removing carbohydrates from lab mice with aggressive cancer increased their recovery. The ketogenic diet was also shown to work better than traditional chemotherapy (and, of course, without the horrible side effects). Another study at Johns Hopkins found that people with brain tumors have a significantly lower survival rate when they have higher blood sugar levels. This provides additional support for the role of a ketogenic diet in the prevention and treatment of cancer. With cancer on the rise, the ketogenic diet is providing a safe, natural means of prevention and recovery for many people. And while each one of us is unique, with regards to the macronutrient ratios required to reach ketosis, a general guideline is to keep your carbohydrate consumption limited to 50 grams per day. The majority of calories should come from healthy fats and moderate amounts of protein. Breakfast: Pastured eggs cooked in grass-fed butter, pastured pork sausage and avocado. You could also supplement with a tablespoon of coconut oil, avocado oil, fish oil or MCT oil for an added boost of healthy fats. Lunch: Wild salmon over a large organic green salad with Kalamata olives and extra virgin olive oil vinaigrette. Pastured lamb burgers with mint gremolata, olives and greens (with oil or duck fat) might be another option. Snack: Grass-fed pemmican, Brazil nuts, macadamia nuts or canned mackerel… plus another tablespoon of your favorite healthy fat. Dinner: Free-range roasted duck legs (or duck confit) over mashed cauliflower with grass fed butter and a green salad with olive or avocado oil. Another option: Grass-fed ribeye steak with a generous helping of basil pesto and steamed broccoli. Another tablespoon of your favorite healthy fat before bed. In addition to the ideas presented above, make sure you are getting at least 8-10 servings of very low-carb, phytonutrient-rich veggies (unlimited amounts of organic kale, organic spinach, organic beet greens, with some organic cucumber, organic zucchini, organic peppers), low-sugar berries (half a cup of organic raspberries or organic blackberries) and alkalizing lemon. A convenient way to boost your intake of these powerful foods is in a whole food juice. As research continues to mount that cancer is largely a disease of the metabolism, we have more opportunities to treat it with the safe, natural diet enjoyed by our ancestors. As always, talk with your health practitioner before making any dietary changes. Have you tried a ketogenic diet for cancer, weight loss or any other reason? If so, what was your experience? 1.	WHO: Imminent global cancer 'disaster' reflects aging, lifestyle factors. Tim Hume and Jen Christensen, CNN. February 4, 2014 2. A.M. Poff, C. Ari, T.N. Seyfried and D.P. D'Agostino The Ketogenic Diet and Hyperbaric Oxygen Therapy Act Synergistically to Prolong Survival in Mice with Systemic Metastatic Cancer. PLOS ONE, June 5, 2013 3. McGirt MJ, Chaichana KL, Gathinji M, Attenello F, Than K, Ruiz AJ, Olivi A, Quiñones-Hinojosa A. Persistent outpatient hyperglycemia is independently associated with decreased survival after primary resection of malignant brain astrocytomas. Neurosurgery. 2008 Aug;63(2):286-91; discussion 291. 4. Thomas N. Seyfried, Michael A. Kiebish, Jeremy Marsh, et al. Metabolic management of brain cancer. Biochimica et Biophysica Acta (BBA) – Bioenergetics. Volume 1807, Issue 6, June 2011, Pages 577–594 5. Thomas N Seyfried Laura M Shelton. Cancer as a metabolic disease. Nutr Metab (Lond). 2010; 7: 7. Hello Kelley, et. al. I am very interested in the Ketogenic diet for weight loss, have you any information on this ? Seems like a natural combo….?? Is the Atkins phase-one this type of eating? The ketogenic diet is very popular and effective for weight loss. I will be posting more on the benefits of ketosis soon. 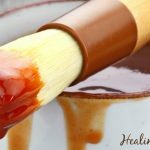 As for Atkins, while phase one is ketogenic, his program advocates artificial sweeteners and processed dairy products which we avoid here at Healing Gourmet. I am a holistic nutritional with 15 years experience. My main focus is helping people with cancer. I have been reading and researching all sorts of holistic therapies, nutrients ect, and I have been able to help even late stage clients to not just survive cancer but even thrive. I can however clearly tell that you don’t understand cancer at all, and truthfully, you really should not be giving advice on this subject. Where you are right suggesting a low carb diet, your meal suggestions are a nutritional nightmare! You will be sending people to the grave by having them eat loads of eggs and meat! Meat is very acidifying and promotes inflammation (esp pork), not to mention the horrors it does to the digestive tract. Besides, it is putting straign on the liver and creates a perfect environment for cancer cells to thrive. Even eggs promote hormonal cancer (breast, ovarian, prostate), (please do your own research) as they have a strong estrogenic influence on the body – the last thing you want when battling cancer. The right approach is a diet very strong in greens, veggies, some fruits, nuts and seeds. You stand corrected – I am a living success story, having beat stage 2 breast cancer with diet only. I was a very “educated” low fat vegan and began eating LOTS of meat and eggs and loads of fat in the form of bacon fat, coconut oil, grass fed butter and avocados. I got rid of ALL grains (whole grains especially) and ate only low sugar veggies. Swapped all drinks out for homemade cucumber-lemon infused water. BOOM. My full healing came about within four months and 16 days. No chemo. So I respectfully urge you, Antje, to open your mind and eyes to the latest RESULTS many – like myself – are experiencing. Thank goodness I did not read a “suggestion” like yours before I embarked on this way of eating..I may not have been here today. Much love and healing to all!! My heart just sang when I read your reply. Breaking dietary dogmas and taking a route other than conventional cut/poison/burn takes a heck of a lot of courage. It is people like YOU who are living proof that inspire others to heal in the same way. Thank you for sharing your awesome story with us, Josie. And kudos for being the author of your own health! Please could you share some recipes with me as by sister, brother-in-law and 26 year old nephew with a brain tumour are coming to stay with me this weekend. They are all following a keto, cancer, low carb diet and I’m a bit lost and don’t want to hassle them. Or ideas – what are low carb veg? and what to do with coconut oil. Please don’t publish my name to this as my family are going through enough and I don’t want them identified, feel free to change my name though. Thank you for your question. The keto diet is actually very easy to follow and very satisfying as it is primarily fat. Low carb veggies are above ground vegetables – including any kind of greens (spinach, arugula, etc. ), cabbage, cauliflower, kale, Brussels sprouts, broccoli, asparagus, mushrooms, celery and peppers. Sending my best wishes for a speedy recovery to your nephew. Hi Kelly. I agree with your above ground veggies but would add that you must make sure they are organic especially spinach which is a plant that retains all insecticides etc, in the leaves so it can exacerbate the problems with cancer and other allergenic problems. Keep up the good work though and more power to your elbow. hello, i would like to recommend theherbdoc.com for supplements and cleanses that in part, can heal cancer. sorry if this isn’t allowed, in life and death situations i just think the more GOOD information, the better the chances of making it. So, you think eggs and meats and other animal products are detrimental to cancer? Vitamin B12 – The ONLY source of B12 is animal foods. Vitamin B12 is one of three key methylating agents (which also includes B6 and folate). Have you heard of methylation? It is a vital process at the genetic level that helps to repair damaged DNA and ensure we are making healthy copies of DNA. Healthy DNA means healthy cells which means reduced risk of cancer. Selenium – Due to poor soil, plant foods (except Brazil nuts) are very poor sources of selenium. Why is selenium important? It is an antioxidant micronutrient that is needed to produce our “master antioxidant and detoxifier” – glutatione. The best sources are animal foods – pastured lamb, grass-fed beef, pastured chicken and turkey, wild salmon, shrimp and scallops are all excellent sources. This list is by no means exhaustive – there’s EPA/DHA (the superior omega 3 fats, only from animal origin), zinc, vitamin B6 and more. I believe the keys to cancer prevention are minimizing toxins and supporting healthy detoxification, keeping insulin levels low with a low glycemic diet, preparing foods to maximize benefits and minimize harmful byproducts, and optimizing the nutrients that are known to promote cellular health. As illustrated above, many of the most powerful cancer-fighters come from animals – whether we like it or not. As for doing my research, cancer is a topic that I am very passionate about. In 2005, I served as Editor in Chief for Healing Gourmet’s first book – Eat to Fight Cancer (McGraw-Hill) and have read more than 10,000 studies on cancer alone. I’m a big proponent of phytonutrients, but I do not believe they are enough on their own to provide our bodies – specifically, our ancestrally-designed omnivorous genetics – with the nutrients we need to thrive. As for your research, can you point me in the direction of your references? You didn’t cite a single one. The article above is based on research that is helping many people to overcome cancer. I’m not sure why reporting the benefits of metabolic therapy and the cutting-edge research conducted at the University of Florida earns me a “yuk on you”. It is well-known that cancer cells thrive on glucose, and starving them of this substance causes them to die off… naturally. I am supportive of any natural means to rid the body of this disease, and believe that each individual, when faced with a diagnosis of cancer, has a tough decision to make. That decision is personal, and educated, inquisitive people tend to question the “cut poison burn” methods that cause obliteration of tissues, organs (like your digestive system, as you mentioned) and the very immune system that protects us from cancer. Healthy fat and cholesterol don’t kill people or contribute to cancer…but radiation and chemo sure do. u r right Kelly. My Mom, step Dad, sisterand friends had all gone the conventional route all suffered and died they were never told not to eat sugar. Basically told eat anything they wanted. Now dr. want the same 4 me, I can’t seem to find anyone that will work with me or show me what to do please help!!! Insurance won’t pay 4 holistic and I don’t have that kind of money. i am currently battling BC. I am doing as much as I can to help my prognosis and my Oncologist is the one who said the best thing I could do was follow the ketogenic diet. Sugar feeds cancer . I have been torn like many other because there are fruits and vegetables that I know are normally healthy for me, but my oncologist believes in full organic and extremely low carb..Keto were his exact words. We had the conversations about diet and exercise. I’m getting the strong stuff so I walk as I am able which has been ok. I do have to come out of ketosis some because after chemo there are times when you just have to eat some crackers to settle your stomach in the middle of the night, but as a whole as soon as those first couple of days are done I eliminate that and get back to Keto business. Meat cooked at high temperatures can cause carcinogenic compounds to form in meat (like heterocyclic amines), and yes, even fish produced with hormones and antibiotics can influence cancer risk… but meat in and of itself is not carcinogenic. As we have written many times on this site, it is vital to take into account the source and the method of preparation when considering the health of any food. Berries and spinach produced conventionally contain carcinogens (and lots of them! ), but I would never say that berries and spinach cause cancer. Cancer is a multifaceted process and there is much to be taken into account. Similarly, when a population study states that red meat causes cancer, that study is not isolating meat alone, but rather evaluating a pattern of eating. And as we all know, most Americans eat red meat with a side of fries and a large (diet) soda. Please, Bonnie. Show me your science. Read “The China Study” by T Colin Campbell. Very compelling research. However, I don’t think any one diet is right for everyone. Ketogenic may works for some people, but the Gerson approach, which is completely vegetarian, has also helped many to heal their cancer. Eating animal products 3 times per day would be deadly for some, and others would not do well with Gerson. Everyone has to find what is right for their body. You mean, the China Study which has been discredited by many including Chris Kresser and Chris Masterjohn… The China Study that throws out entire subsets of people like those of Tuoli China who ate 45% of their diet as fat, double the animal protein of Americans (about 134 g/day), who experienced extremely low rates of cancer (and heart disease, too)? I agree that cancer treatment should be individualized, but it should also be intelligent… and not based on dogma or cherry-picked studies. Please tell me why Steve Jobs, a vegetarian for 30 years, still suffered from cancer?! After diagnosed, he followed that so called healing, juice fasting hope to cure him. Unfortunately, it didn’t and made him even more sick?! I really need your help. My dad has stage 4 cancer and isn’t eating. Needless to say he is losing weight like crazy. Can you email me please. OMG! the nutritionist above is completely right. You should not be giving these awful dietary recommendations ! A healthy diet obviously reduces meat and increases vegetables! and your summary is completely misleading. Eggs and sausage for breakfast followed by lamb and beef dinner! this is an insane dietary recommendation. You need to replace meat with beans and tofu and mushrooms as well as reduce fat and all processed foods. Fat contained in nuts, avocado fatty fish is absolutely fine but swallowing fat supplements on top of a high meat diet will do more harm than good. Reduce meat, replace meat with a larger variety of vegetables, reduce pesticides and GMO wheat and GMO vegetables think whole wheat organic pasta, couscous, polenta, grits and rice with vegetables in rich flavoured sauces not eggs hamburgers sausage. Wheat pasta, couscous, polenta, tofu and grits? This is about as far from our ancestral diet as one could possibly get, and a great “recipe” for inflammation, weight gain and chronic illness. The ketogenic diet is a therapeutic diet based on fat. There is nothing misleading about this. It is being used with great results for a myriad of conditions. If you have studies to back up your grain-and-carb based diet, please show us. Even before my BC ,I stopped eating Pork because of what you see within it ,,under microscope ! All I know is with Cancer no one should eat tons of greasy foods ,first your stomach can’t handle it ,you would have diarrhea 24/7 ! I believe nothing on the Internet ,I chose very carefully ,,what I trust ! Clean eating ,Organic Fruits and Veggies ,lemon water is the only way to live fighting cancer! First ,,,I gave God my Breast Cancer ,,,done and done ,,, second ,,I am taking Chemo for Science because nothing has been proven to Win the Fight against it ,I have a beautiful grand daughter that’s 2 yrs old ,many nieces ,I do this for them ,and for Studies for oneday a Cure !!! Thank you for your post, I would love to read more about your approach on the nutrition for cancer. Thank you for your comment and recent purchase. I hope you enjoy all of the recipes. I do not believe Native Forest Coconut Milk comes in “sweetened” only original or light. I always opt for original (full fat) as the light version is just watered down and costs about the same. Also, the fats in coconut are very healthy and have a wide variety of benefits. I’d love more ketogenic meal plans and a complete list of keto foods. Thanks so much for your comment. We have received lots of requests for this, so I will be doing a follow up on keto. A ketogenic diet helped my daughter and I lose the weight that was bogging us down. In the beginning it was very hard to get over our fear of fats. After losing 60 pounds (almost effortlessly after the first few difficult weeks) at 50 years of age with great blood work after 10 months on the diet, I don’t think I’ll ever go back to my old diet of grains and empty carbs. Keep spreading the word Kelley! More people need to hear about ketosis! I think many people do still have that fear of fat, as well as misconceptions about the dangers of ketosis. Thank you for sharing your inspirational story with us to help others on their journey. Will you PLEASE share what your regimen of eating Ketogenic looked like with some specificity? For instance, did you count calories as well as eating high fat? I have asked Kelley but still waiting for concrete information. I provided as “concrete” info as I could… but ketogenic diets are not like other diets. Each individual must determine the right range of macronutrients to achieve ketosis – a PHYSICAL, MEASURABLE state that is unique to an individual’s metabolism. It’s not just eating high fat – it is also eating low to moderate in protein and very low in carbs. But again, the macros required to achieve ketosis will be unique to YOU and must be determined with trial and error and measuring (keto sticks). Hi Avril, thanks for asking. We absolutely love our diet now, sleep better, have more energy through the day, hair and nails thicker and healthier, skin has less breakouts. I didn’t realize how ‘sick’ I felt daily until I started eating this way. I’m in complete agreement with Kelley regarding her explanation of the diet but I do understand it takes hearing it a few times to wrap our heads around the concept. As a personal side note, my doctor told me (2013) that I was obese, showing signs of insulin resistance, and on my way to metabolic syndrome and Type 2 diabetes. I thought it was just my age or hormones. I thought my diet was relatively healthy and ‘clean’. The only advice she gave me was to exercise more to lose the weight and slow my progression to Type 2. I didn’t have an extra 3-4 hours per day to exercise and (without a lot of self-control) I spent most days hungry all the time. I didn’t believe I could make the successful switch to portion control and counting calories. My daughter – who had gained an extra 40-50 pounds during college and as a result of an unhappy relationship – started studying nutrition at that time. Together we learned that our own bodies are better ‘regulators’ than our brains once we learn to feed it correctly. 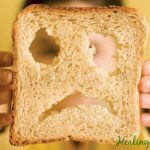 I had been addicted to empty carbs (sugar, bread, potatoes, rice, etc.) for many years so that was the first part of the journey – realizing that I wasn’t going to starve without the carbs and losing the habit of eating all day long. When you’re filling up on empty carbs you are hungry all day long. With that old habit (eating all day long), and new information (fats and proteins are better than empty carbs for satiating the body), I ate whenever I was even slightly hungry. Not counting calories, not following some eating plan, never feeling deprived or allowing myself to feel hunger. In retrospect I suppose I ate over 3000 calories per day in those first few weeks – and I still lost weight and started feeling better. I don’t suggest meal plan specifics for anyone. As Kelley alludes to above, each of us have different metabolisms and requirements. It is a far better path to balance macros, listen to our body’s signals and cravings once we’re well again (for me that was dealing with the carb addiction), eating only when we’re hungry and only enough to satisfy that hunger. A ketogenic diet is quite liberating and empowering in that sense – no dictation from a stranger with a different metabolism on how much, at what time, and how often any one of us eats. Our own bodies will show us the way. With our heads around the ‘track macros’ instead of calories/portions, we found a few free mobile apps that helped us to do so easily. Initially it was a bit of extra time but once you get used to eating in the way that makes you feel great and you understand how your body processes different foods, you don’t need to track because you’ve formed new eating habits for yourself. I believe this to be the perfect diet for chronic dieters (those of us who jump from one person’s diet plan to another) because we learn about nutrition and our body’s needs through each stage of life. So…low in carbs, moderate protein, and high fat…and keep all sources as clean (organic and natural) as possible or as your budget allows. I mostly use my carb macro in the most nutrient-rich leafy or cruciferous greens with a variety of virgin oils. On lean meats I load on creamy sauces or home made mayo, and I enjoy fatty meats (bacon, chops, steaks, ground) from grass fed or pasture-raised animals al fresco. My personal macros for maintenance, health and energy are about 65F:25P:10C. To this day I do not portion my foods or count calories. I hope that long stream of rambling helped and didn’t deter you from digging deeper into the concepts of a ketogenic diet. I truly believe that my life changed when I learned to look at my food from a macro perspective and I’ve witnessed hundreds of others saying the same. I am happy to help or answer questions at any point of your journey. In closing – because Kelley’s post was originally about cancer and the Ketogenic diet – I do want to add that what I’ve written above does not factor cancer into the equation. There are very specific protocols to follow in those scenarios of which I have no experience. I have spoken to a few experts and read some of the literature on Ketogenic diets for cancer and I would push towards that path for recovery of myself or a family member. Laura thank you so much for your thoughtful answer. I agree with all you said about not trying to copy another’s specific eating plan. I guess I have missed Kelley’s post on the Ketogenic diet and how to follow it with her recommendations on how to apply to one’s own situation. Is there a specific post I might be directed to? I’m so glad you’re excited to learn more (and I didn’t scare you away with my rambling). This diet literally changed my life – I hope it brings joy and health to yours. my 2yr old son is fighting stage 3 pediatric melanoma, where can I find more kid friendly recipes for favorites like corndogs, man n cheese, grilled cheese sandwich, etc.? I’m so sorry to hear about your son. We don’t have mac and cheese or corndogs because they are high glycemic, processed, unhealthy foods. Wishing you strength and your son a speedy, complete recovery. Those kid friendly recipes are great Kelley! Kailey, I would also try http://www.charliefoundation.org/resources-tools/resources-2/find-recipes (a foundation created to honor a young boy’s – Charlie Abrahams – journey with a difficult-to-control epilepsy). Well, I would like to say, I have cancer of the tongue, don’t hear to much about this much on sights(never heard of, I suppose), well I have been through the internet, on so many sights, and for books on food, even considered raw foods, but I must say, with all that searching and reading, I still don’t know which way to go. Doctors where I live know nothing about it much as going alternatively on medicine. I am stressed with all this knowledge and books on this matter, and as I said, still don’t know what to do that is going to help me in my journey to get better. I know, the longer I leave this and don’t do something, it will get worse for me in the long run. Is there anyone else who can guide me in food ways. Would love some help. Thanks Kelly, you are doing a great job, and I would love to hear more on you diet meals, that are coming up. Maybe in some little way, it may help me to have a menu in front od me to follow. I am not good at doing my own thing. I’m a graduate student doing cancer research and have done these experiments in mice – I can vouch for the fact that adding a ketogenic diet to standard chemotherapy/radiation improves the efficacy of the therapy. However, this article is incorrect in stating that the researchers in Florida found that “The ketogenic diet was also shown to work better than traditional chemotherapy.” I’ve read the papers you’re referring to and couldn’t find anywhere in those articles where the researchers compared KD alone to standard chemotherapy. I would hate for someone with cancer to read this article and turn down chemotherapy that may save their life in favor of KD alone, which has not been proven in clinical trials to work better than chemotherapy. I would encourage cancer patients to discuss with their doctors adding KD to their current treatment regimen, rather than using it as a replacement. With that said, I firmly believe that good medicine doesn’t kill the patient along with the disease. And unfortunately, very often that is what chemo and radiation do. Does chemotherapy increase mean survival time by 56.7% in systemic metastatic cancer? According to the SEER Stat Fact Sheets at the NIH, the 5 year survival for metastasized colorectal cancer is 13.1% and metastatic breast cancer is 25.9%, just as two cursory examples. Of course, we can’t forget the important concept of “quality of life”, which, in my estimation further bolsters the argument for non-toxic therapies like KD. I know the choices I would personally make if I were diagnosed with cancer. And they don’t include chemo or radiation. I encourage every individual to do their own research and explore the many non-toxic options available. My 41 year old daughter, Tamara died of Stage 4 metastatic breast cancer with the BRCA 2 genetic factor. Chemo and radiation most assuredly killed her. Big pharma is reapng the benefits with tons of money in their pockets. I got breast cancer also from a hard fall that injured my breast. I refused chemo and radiation. I had a double mastectomy and reconstruction. I also refuse to have mammograms because they are not safe. I have thermagrams instead. I love what the People’s Chemist says about big pharma drugs. He worked for a big pharma co. and quit because the drugs given for breast cancer were killing the patients. Deodorant/antiperspirant have also been proven to cause breast cancer. Europe has many natural cures that work that this country needs to adopt. It takes going outside the box and studying nutrition and alternative methods to heal yourself from these awful diseases. Thank you for listening. Best wishes to you all. My sincere condolences for the loss of your daughter Tamara. I am happy that you have chosen an alternate route, and am 100% with you on thermography, antiperspirant, chemo and radiation. We have many natural solutions to address cancer – including the ketogenic diet, fasting and alternative therapies that allow our bodies to regain balance and starve the cancer (while keeping healthy cells intact). I wish you the very best of health, Pam, and truly appreciate you sharing your story with us. 3. Can you say why people with cancer should use other methods in addition to a ketogenic diet? 5. How does one use trial and error to determine whether one’s diet has become ketogenic? I’d have thought that use of keto stick was sufficient. I gather that I should also use a blood testing kit to check that the blood sugar level is kept down to around 4.0. Have you talked with a functional medicine practitioner? That would be the first place I would start, seeking out a cancer specialist using their “Find a Practitioner” search tool, to discuss your options. Every cancer is different, every person is different. An educated professional will guide you through the process based on your own situation. There are many ways to establish if you are in ketosis. Martina at Keto Diet App does a great job at discussing those. For success with the ketogenic diet and cancer, please check out Chris Gunnars great article and distillation of the research at Authority Nutrition. You can also see clinical trials available with a search online. I hope this helps you on your path to healing. Thanks so much for the incredibly quick and comprehensive reply. The article by Martina on Ketosis and measuring ketosis looks great and authoritative too, as does the article by Kris Gunnars. However, that article is quite sobering. Results on actual humans really don’t look good at all, and he also mentions gluconeogenesis, which is probably partly what my “devil’s advocate” clause was about. Finding a functional medicine practitioner might be a good idea. I’m in the UK. I have been thinking that one simple method might be sufficient, but examination of each one in turn yields doubts in my mind. That’s partly why I’ve been so slow in deciding. On the other hand, anything complicated is liable not to get done; hence trying to strike a balance between simplicity and effectiveness. Happy to help and I do hope you find the right practitioner and create a simple, effective plan that works for you. You’re right, gluconeogenesis can definitely be a concern when the ketogenic diet is not properly configured in terms of % of calories from macronutrients. The body is adept at converting protein to carbs for fuel when it needs to. Having too much protein can be problematic in terms of getting into or maintaining ketosis. I’d love to hear how your search and healing process goes. Please keep me posted! Many thanks again. From the very clear article by Kris Gunnars it really looks, alas, as though the track record of a ketogenic diet for actually curing cancer is basically non-existent. At best it seems that it can hold back its progression, at worst not even that. I hadn’t picked up on the point about the problem of gluconeogenesis being dependent on the % macronutrients, but this looks to me like a secondary issue. Other front runners at the moment are DMSO (maybe involving going to Cancún in Mexico, but for $thousands) and cesium chloride, where the main problem is getting proper support, thanks to gagging by the FDA in the USA and inter alia by the 1939 Cancer Act in the UK. I’ll keep you in the picture. Thanks for that (very busy week ahead). In a short 3 months of eating keto, I have cleared my mind fog, my afternoon sluggishness, my IBS, my insomnia, my moodiness and I’ve lost 27lbs. I don’t crave anything!! My recent blood tests were perfect, as is my blood pressure. You can find contradicting information for every single topic…sometimes you just need to try it to find out for yourself. This is a very easy lifestyle to live. And the benefits are outstanding. Thank you for promoting this lifestyle. I am in remission (Ovarian cancer) and was on a plant based (mostly raw) diet for the past 6 months of chemo to counter the effects it has on the body. I feel GREAT from all the organic juicing and fresh veggies (no grain vegan diet) and attribute it to my condition (no side effects, not all hair lost, never got sick or felt tired, etc). That said, the chemo is no longer fighting the battle for me and I do not want the cancer to return. I was stage 4 – so I am highly wishing to SWITCH over to Ketogenic diet and starve the cancer. My question to you is where can I find a recipe for living/and or fighting cancer (as opposed to weight lose)). The difference being I can only consume 20 grams of carbs (!!) and most recipes On- line do not follow this strict carb rule. They are 30 to 50 grams. I can’t count each thing I put in my mouth three times a day. I’m looking for recipes that are already UNDER 20 CARBS total. Can you please help? I’m happy to hear that you are feeling good. My new program, Meal Genius, has tons of recipes – and entire daily meal totals – with 20 grams of carbohydrates or less. The complete nutrition and macronutrient ratio is on every recipe, as well as on your daily total, making it easy to see exactly what you are getting. As you have learned there are a lot of websites that purport recipes and meals as “keto” when they really are not. This is false advertising and can be dangerous for people who truly need keto. I would be happy to give you access to the program (we are in pre-launch phase) if you are interested. I will copy this to your email, as well. Please be sure you are on Healing Gourmet’s email list and we will let you know as soon as it is ready! Personally, my thought is a vegan gluten-free diet. No meat, no dairy, no sugar, mostly fruits and vegetables and if any processed foods whole wheat bread that’s gluten-free not too much else! May be a bit of beans. There is a vegan keto diet. Meat and dairy are very acidic to the body. My husband has stage two colon cancer and has been keto since the beginning. He had a resection, no chemo, the a reoccurrence within 6 months. He had another resection and is now on six rounds of chemo. ( still keto). The issue he is having now is diarrhea and had gone on a modified BRAT diet due to the diarrhea being so severe. He is also on a lot of meds to help prevent it. My question is, what would you suggest he eat to keep keto? Thank you so much for your help. You say he is on a modified BRAT diet – but that is bananas, rice, applesauce, toast. That is a high carb/high sugar/fat-free/low protein protocol – definitely not keto. What about bone broth? That would be easy to assimilate, nutrient-dense, gut-healing, keto friendly. I like to make a “fatty broth” where I blend the bone broth with a high quality fat (coconut oil, duck fat, tallow, ghee) in the blender – making a delicious, nutrient-and calorie-dense keto drink meal. Also, have you looked into dysbiosis (imbalances in gut bacteria) caused by the chemo – which is well-known to obliterate the gut microbiome? C diff. is common and quite dangerous. Hydrogen-dominant small intestine bacteria overgrowth (SIBO) also causes diarrhea. As always, talk with your doctor before making any changes to your diet. I am committed to the keto diet along with chemotherapy, as I am fighting stage 4 cancer. Interesting information thank you for sharing. You might be interested in reading The Big Fat Surprise by Nina Teicholz sge describes how the belief that fat and saturated fat are bad for you originated in the 1950’s right around the time of the heart and stroke organizations really took off and came down to 1 important study most scientific studies are taken as fact and from which most scientific studies were based off of ever since. This and subsequent studies also tend sweep under the rug some concerns brought by other scientist at the time that diets with fat from plant sources may even have a greater increase in cancer occurances in some cases. It was an interesting read if nothing else. I am wondering if you or someone reading this post has answers something that has puzzled me. A little background information. I have gastroparesis and unfortunately require a diet that is high protein but low in fat and dietary fiber as retards the transit through the digestive stomach and digestive system greatly and if I consume more than 30g fat per day and 15g dietary fiber I tend to vomit the food up instead of it moving down thru the digestive system properly. Due to a health issue that occured at the same time I couldn’t keep anything down for about a week and ended up in the hospital with starvation ketoacidosis (starvation ketosis) and was told if too much fat is broken down in the system the blood acidifies and can cause organ malfunction and failure and you can even die. My question how the keto diet doesn’t have these problems or is this a risk that people following the keto diet is occuring but the damage may not be obvious for days or even years after? Have there been studies on long term effects for those on the keto diets?